Tau Ceti Episode 2 “Emerging Mysteries” has Arrived! At the end of Tau Ceti Episode 1: A New Frontier you placed your vote to change the future of Tau Ceti. 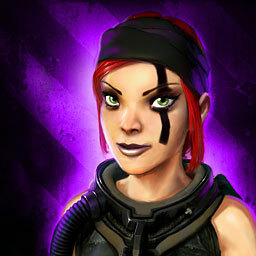 Today, Episode 2 “Emerging Mysteries” arrives with an all-new set of missions telling your story! Continue building the starbase and protect the Methanoids from the remaining Tau Ceti pirates. Explore the southern hemisphere of Vénar in order to find traces of the vanished pirate base. The way the Methanoids opened up to us seems suspicious. Find out if and what secrets they are hiding from us. With the highly anticipated starbase completed, Tau Ceti gradually opens up for exploring: What secrets does Vénar hold? What new technologies could be discovered? What is the Mantis Swarm up to? “The Starbase now enables us to dive deeper into Tau Ceti. Thank You For 20,000 Likes on Facebook! Our Facebook page has crossed the mark of 20,000 Likes. We got a little present to celebrate this great achievement: a Cryonite Booster Event! Enjoy a 25% Global Cryonite Booster for all players on all servers! Starting this Friday at 18:00*, running until Sunday at 18:00*. Have fun, Pilots!